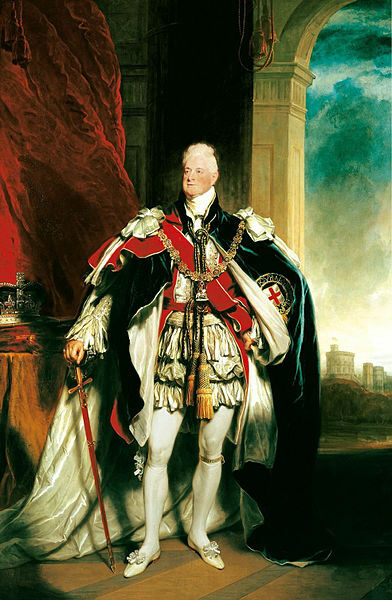 William Henry (21 August 1765 – 20 June 1837), third son of George III of the United Kingdom and Charlotte of Mecklenburg – Stirlitz, the Duke of Clarence and St Andrews (1789 – 1830), King of the United Kingdom of Great Britain and Ireland and of Hanover as William IV (1830 – 1837), Charlotte’s paternal uncle. 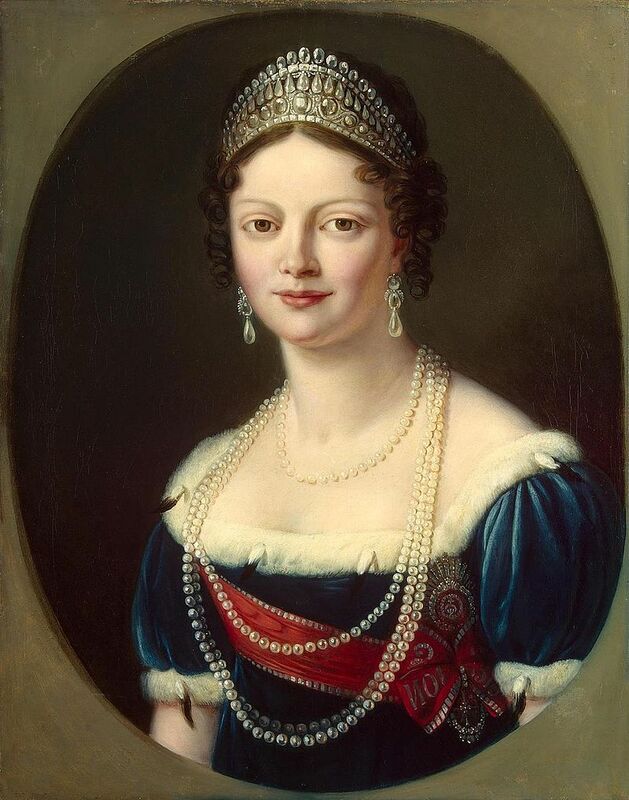 By the terms of his father’s Royal Marriages Act, princes of the Blood Royal could only marry with the King’s consent, which really meant they could only marry respectable German princesses, who were also Protestant. This was very limiting. 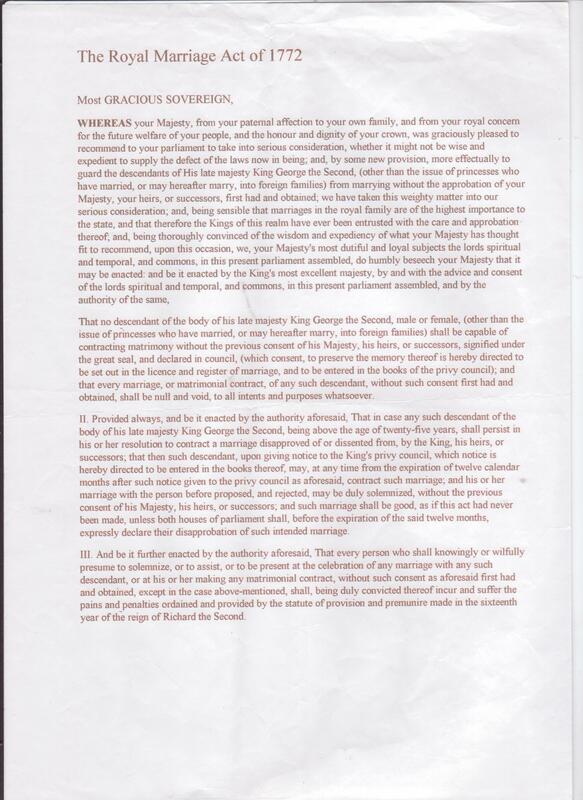 George III’s seven sons had the greatest difficulty in keeping within the law, and most of them did not try: it was simpler, as the Dukes of Clarence and Kent discovered, to take a mistress and stick to her. But it did not help the succession. ‘George Augustus Frederick, Prince of Wales, eldest son and heir apparent of George III, King of England, was thirty – two old and, on paper at any rate, the most eligible bachelor in the western world. His attitude towards matrimony, however, had always been disappointingly negative. Indeed, some ten years earlier he had sworn that he would never marry. 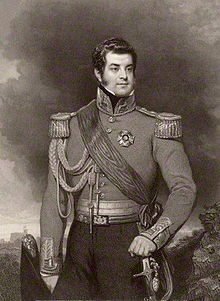 He had “settled it with Frederick” – Duke of York and his next and favourite brother – that Frederick would marry and that crown would descend to his children. But Frederick’s wifehad turned out to be barren, and other princes were now all either comfortably suited with mistresses, or for other reasons unwilling or unable to do their duty by the family. 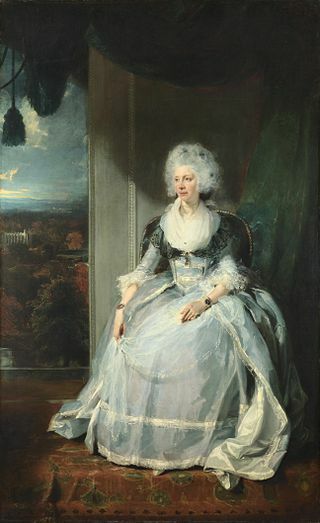 George III’s plain sturdy little Queen (she had been Charlotte of Mecklenburg – Strelitz) had survived no fewer than fifteen pregnancies nd successfully reared seven sons and five daughters, but the remarkable fact remained that by 1795 there were still no grandchildren – or at least no grandchildren born on the right side of the blanket. 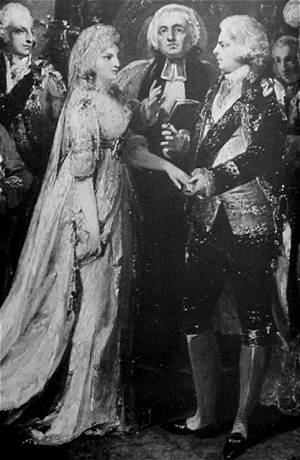 It was not, however, concern for the future of the Hanoverian succession which had finally propelled the Prince of Wales towards the altar – it was stern financial necessity.